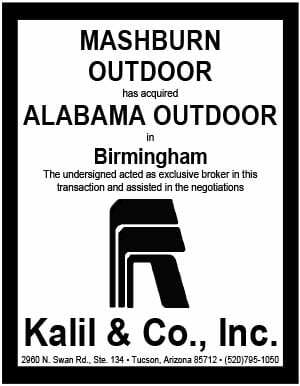 By Neil Bell, Owner, New South Outdoor. Honestly, I really don’t even have to ask because I know why it didn’t work. The answer is… they weren’t doing it right. Don’t let this customer objection catch you off guard. Here are a few questions to ask if you ever get this response on a sales call. Hopefully they can help you get to core of their previous campaign failings and help crack the door to a future outdoor run. “How did your creative look?” – Was it easy to read? Was it eye-catching? Easy to understand? “How many boards did you utilize?” – Was it just one board in a big market? Did you spend enough to make an impact? What kind of reach did you have? “Did you target the right people?”– Can you identify your target? How did you know which boards to buy? “What was your marketing idea?” – Was the theme/promotion/offer something worth people’s time and interest? Saying that outdoor doesn’t work is like blaming the post office for your direct mail piece yielding poor results. Outdoor can be an effective delivery system when you focus on what your advertisement should say, how it is said and to whom it is being said. Great insights Neil. Insider welcomes articles on the out of home business. If you have an article you’d like to publish send it to billboardinsider@gmail.com or use the form below. Rececca Thurman at Billboards Etc. 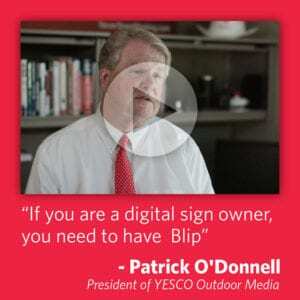 (www.billboardsetcinc.com) agrees with Neil: “Why does outdoor prove successful for other companies in your industry but it did not for you?” This is a great perspective! Outdoor works for so many businesses. But I would like to add that the outdoor sales representative should be the educator that helps guide the client to returns on investment!